Dive into fun at Sunriver's premier aquatic facility. The SHARC Aquatic Facility located in Sunriver is a great year-round destination with plenty of activities for the whole family. The SHARC’s outdoor pool, lazy river and water slides are perfect for cooling off from the summer heat in Sunriver. 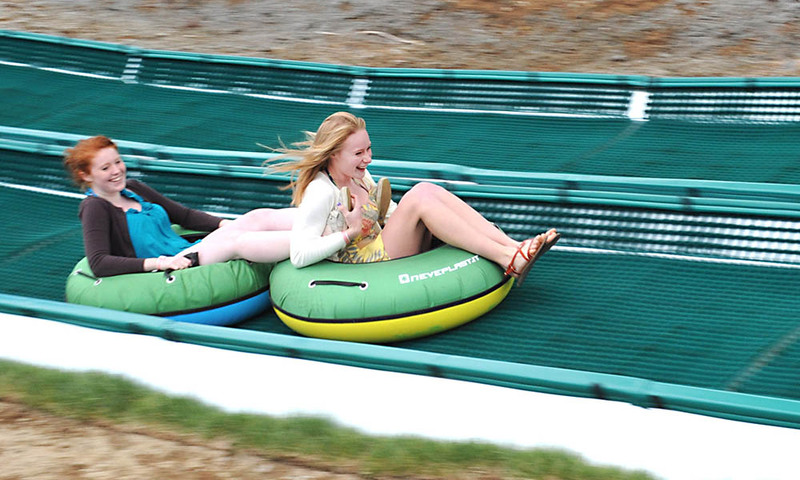 Aside from sunbathing and water play activities, SHARC’s 22-acre facility feature a full-service cafe, lush picnic area, tot pool and sand play area, an outdoor kids playground, basketball court, bocce ball court, year-round tubing hill, picnic pavilion and an outdoor amphitheater. More than 5,000 square feet of meeting and event space along with an outdoor amphitheater are available to rent for your next business meeting, concert, family reunion or wedding reception. The space can also be used for social groups, club gatherings, classes, and more. If you have any questions about the SHARC Facility in Sunriver please give us a call at 1-800-541-1756. 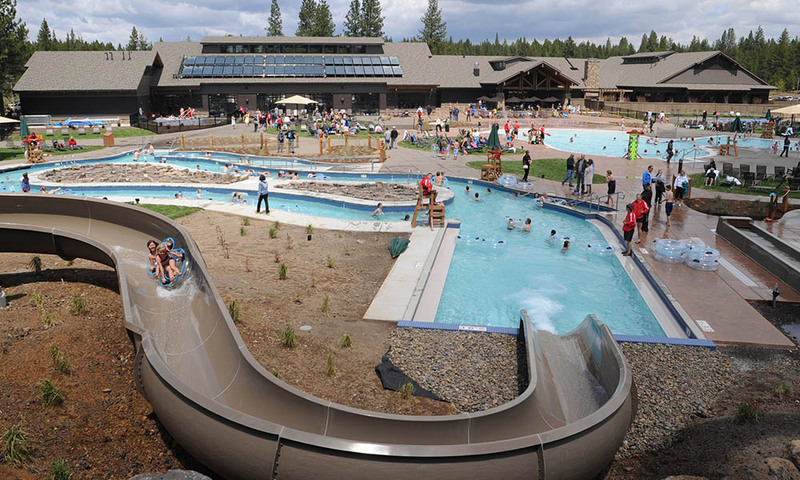 The community of Sunriver built a $19 million dollar water facility known as the Sunriver Homeowner Aquatics and Recreation Center (SHARC). This new facility has become an area attraction enjoyed by thousands of people each year. This project was orchestrated and built by the Sunriver Owners Association (SROA) and is operated on a daily basis by the SROA. Most of our homes provide free SHARC passes but it is VERY important that you carefully read and understand how many passes the home you are renting provides and if the home you are renting does provide passes.